This page will be for an assortment of goodies. 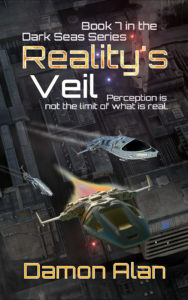 Links to various things that I’ve done as an author, or to information about the universe I’ve created. Feel free to look around. As this area grows, you’ll find images, data on ships, character bios, art, and if anyone does anything in my universe they’d like to share, I offer up the opportunity to do that here. 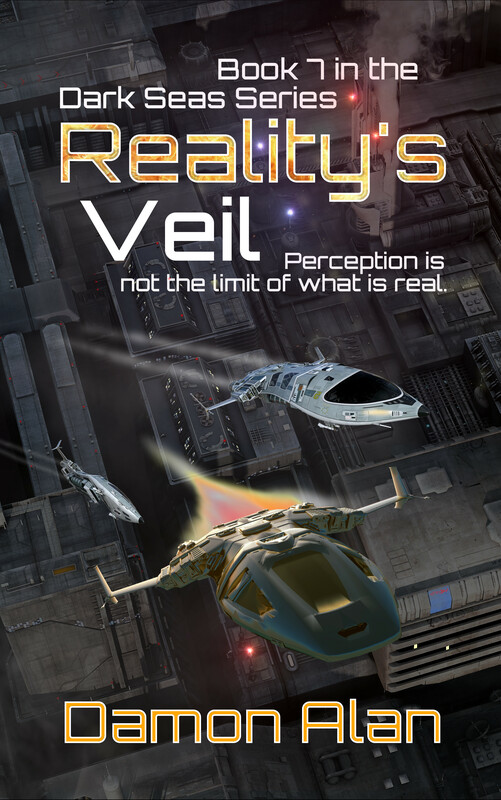 At the moment I’m still a budding author with my 5 books, but in time I see that changing. Not vanity, confidence. 🙂 So if you’ve done something, art, a short story, etc, please feel free to share it. If I like it enough, I’ll even title it (this is canon now in the Dark Seas Universe). So over time expect to see more and more here. We’ll start with something small. 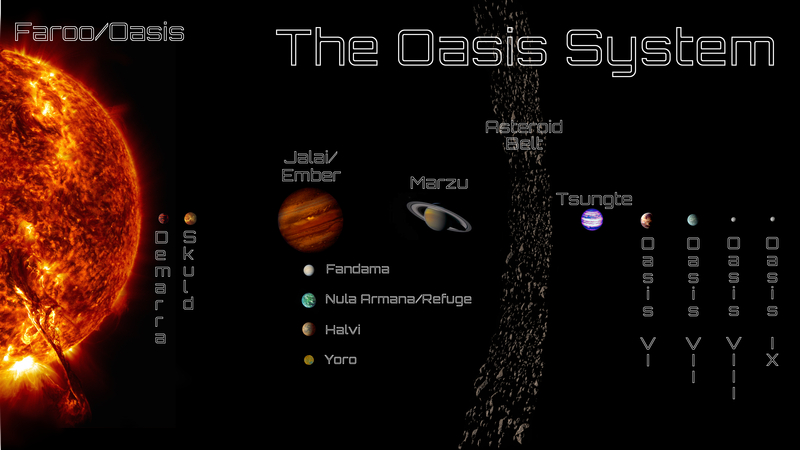 An infographic about the Oasis system, where Sarah Dayson spends the entirety of books 2 & 3. Just click on images or links to see the full size version or the content of the link. 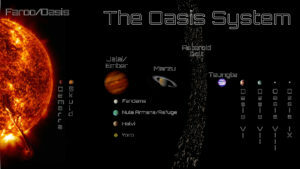 The Oasis System. No moons other than the four major moons of Ember are included, but there are plenty more. My plan is 2 large moons orbiting Marzu, but that’s not in the books yet. Won’t be unless it matters at some point. But it’s still nice to know the build of a system that you’re reading about. If there are two names for an object, the native name is first. Other objects, like Yoro, only have the native name because Sarah Dayson’s fleet didn’t discover them before they learned that name. The outer planets aren’t visible to the naked eye on Refuge, so the natives didn’t name them at all. They thought Tsungte was the outermost world. Faroo/Oasis is a K4 class star, with some serious flares at times. The powerful magnetic field of Jalai/Ember protects the 4 Earth sized moons (Refuge is almost twice the diameter of Earth, but less dense) from the worst of the radiation. Due to tidal friction, Refuge has a molten core itself (with associated volcanism on the surface) so also has a serious magnetic field of its own. These two protective fields make life possible on Nula Armana/Refuge. A recent short story of mine published in The Bulletin, the monthly magazine of American Mensa.